I want you to meet Cat from the inspirational blog, 365 Days of Inspiration. She is a beautiful woman with an incredible story. A story that defies circumstance and evidences miracles. It is a testament to the power of faith, the power of positivity, and ultimately the power of a person's will. On April 5th 2008, Cat was in Rocky Point, Mexico with some friends. On this day her life would be changed forever. I will let her share her story. We decided to go to this bar called the Reef for lunch where we drove ATV's and a dune-buggy. On the way home I got in the passenger seat of the dune-buggy. Heath (the guy driving) asked if it was okay if we could ride in the sand dunes for a little bit. I was SO scared but because I am a push over I said, "Umm sure..." Heath promised that dune-buggies were made not to flip. I trusted him. So we take off into the dunes and I am screaming my head off because I am so scared. He starts going faster and faster, and suddenly something came across me; a weird intuition. I knew at that moment, something bad was about to happen. I remember saying these exact words "Dear God, this man has my life in his hands. Please don't let anything bad happen to us." Literally 5 seconds later...BOOOOM! Heath took a turn too fast and the dune-buggy flipped head first 5 times. I had my eyes open the whole time. Sand was flying everywhere. We were tossing and turning. My mouth was open but I couldn't scream. My body went off the seat a couple inches and slammed back down compressing my vertebra. My foot flew up and hit a steal rod. We finally landed up right and I was stuck in my seat. Winded. Gasping for air. Crying. And the guy who was driving, left me at the scene without ever asking if I was okay. Out of nowhere my other friend Chris arrived at the scene. Suddenly all of these people came to help. I was taken to the Rocky Point hospital and it was the worst experience of my life. I was threatened to be cut open with a knife. My clothes were cut off. My baby toe was hanging by a string. After 45 minutes of being stuck in there alone not knowing any Spanish, my body was in shock. 24 hours later after being held hostage in the hospital, a lady saved my life and had me transported to the border where I was then air-vacced to St Joseph's Hospital. I received a CAT scan and it turns out I shattered my t7 t8 vertebra into my spinal cord, and broke my foot in 4 places. After a six hour emergency surgery to remove all the shattered vertebra I was told I would never walk again. I was in a wheelchair and in the hospital for three months. I never once believed I would never walk again. I prayed more than I ever have. I was on a mission to walk out of that hospital. Every day, I was so positive and told everyone I would be walking in no time. They thought it was impossible. I woke up after a nap and I thought to myself if I can send signals from my brain to move the toe that is the furthest away, then I can keep using my brain power to move the rest of my toes and also my legs. It became an obsession. Everyday I woke up in that hospital bed I would concentrate and tell my toes and legs to move and miraculously day after day I got more movement back. Eventually three months later after intense rehab I walked out of the hospital with the assistance of a walker. It is a miracle and to this day doctors cannot explain how it happened. I cannot even tell you how I made it through this excruciating time. I truly believe there was and still is, an angel sitting on my shoulders. I have been rehabbing for 3 years now. I walk with a bad limp and bad balance. That is why I cannot wear high heels. But I am so grateful to be alive and walking, even if I have imperfections. I am writing a book about the accident because there is a lot I have left out but this is why I started my blog, 365 Days of Inspiration. Life is too short to sweat the small stuff! We are alive and that's all that matters. 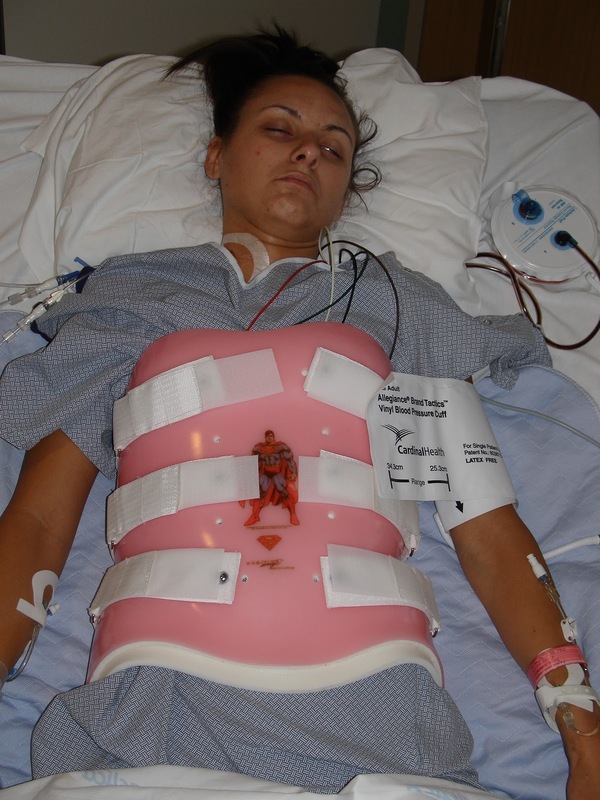 This accident made me the person I am today and it has made me very strong. Cat went on to graduate from ASU and is now an Associate Producer for FOX news in Phoenix, Arizona. Yesterday, she celebrated her three year accident anniversary. 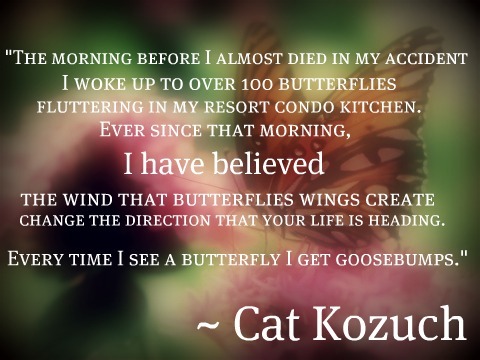 To read more about Cat and her miraculous story, visit her inspiring blog, 365 Days of Inspiration. She is truly a survivor. ohhh myyy inspiring. This is an amazing story...people amaze me. Thank you for sharing this! Wow, amazing story. I am in awe with her determination and faith in herself to get up and walk. I hope to one day read this book! omg, what an inspiration!! this is an amazing story and thank you so much for sharing! What an amazing and inspiring story! It is amazing the power our brains have... more than we give them credit for! She is absolutely gorgeous!! Thanks for introducing us to her. wow this story is INSANE. i cannot believe that jerk flipped the buggy i could strangle him! but i am so glad to hear she has recovered and her life is going so well.thanks so much for sharing! Wow what an incredibly strong, inspiring beautiful woman! This story brought tears to my eyes. Wow, thank you for sharing this. It is truly amazing. Wow, What an amazing story! She is really an inspiration to never give up! a beautiful and inspiring story! Thank you for sharing! I can’t thank you enough for sharing my story...If it makes a difference in one person’s life that would make my day. You are wonderful. Simply wonderful. what a truly inspiring story!! i am so happy taht she even made it out alive & now she can walk?? that is incredible! I got goosebumps, seriously. Thank you for sharing your amazing story! That is such an incredible and inspiring story. Wow. Thank you so much for sharing! WOW, what a beautiful and inspiring story! I'm so impressed by her tenacity wo walk again. Thank you for sharing this wonderful story! Wow, this is an absolutely beautiful, miraculous story! It gave me the chills. God is so powerful and He can do anything, this is complete proof. Wow, such an inspiring story! Thank you for sharing!! Wow - what an amazing story! I love reading stories like this because a.) they are so ridiculously inspiring and b.) it makes you think twice when you say you're having a bad day. Thank you so much for sharing this, I'm definitely going to check out her blog right now! Your story made me so happy to hear. You are great and you keep doing great stuff. So what if you can't wear heels, there are some pretty good flats out there. No, but really, you are amazing. I'm glad your doing good. What a amazing and inspiring story. Thanks for sharing! All I can say is WOW. I was was reading this thinking oh my god I cannot beleive that guy left her at the scene what a jerk. Your story truley is inspiring and I think your willpower to do what you wanted to do was absoluately amazing. Congrats on being able to walk! That is a great achievement if I've ever heard one! wow what an amazing story. Shivers are going down my spine! A good friend of mine had a similar experience - she was hit head on by a car (accident) and was in a coma for 4 days in hospital had to had major operations in both her legs. But now, though countless prayers, she can run again! And wear kitten heels! thanks so much for sharing, this story is unreal. So inspirational and puts things in perspective to hear something like this. What an inspiration! Thanks for sharing! wow. what an absolutely AMAZING and inspirational story. thank you so much for sharing! WOW!! I am speechless after that story!! Amazing story and testament to the power of GOD. All things are possible to him that believes! Wow! That is such a moving story, it has struck a cord with me. Awesome story, thanks for sharing this, I am heading over there now! that story is so sad. i write with lump in throat. ms. cat has more strength, courage & endurance than she ever thought possible. which further proves t me, how anyone's life perspective can change in an absolute instant. how we can all appreciate the little moments.